The preeminent Chinese conductor with an established international reputation, Long Yu continues his 16th year as Music Director of the Guangzhou Symphony Orchestra in its 2018/2019 season. He also serves as Chairman of Artistic Committee of the Beijing Music Festival, Artistic Director and Chief Conductor of the China Philharmonic Orchestra, Music Director of the Shanghai Symphony Orchestra, Co-Director of the MISA Shanghai Summer Festival and Principal Guest Conductor of the Hong Kong Philharmonic Orchestra. 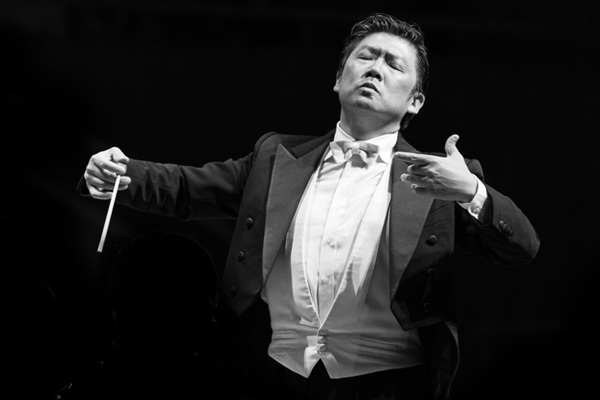 Long Yu frequently conducts the world’s top orchestras. He has appeared with a prestigious list of leading orchestras and opera companies around the world, including the New York Philharmonic, Chicago Symphony Orchestra, Philadelphia Orchestra, Los Angeles Philharmonic Orchestra, Montreal Symphony Orchestra, National Symphony Orchestra in Washington, Cincinnati Symphony Orchestra, Orchestre de Paris, Bamberg Symphony Orchestra, Hamburg State Opera, Rundfunk-Sinfonieorchester Berlin, Rundfunk Sinfonie Orchester Leipzig, NDR Sinfonieorchester, Munich Philharmonic Orchestra, Sydney Symphony Orchestra, BBC Symphony Orchestra, Hong Kong Philharmonic, Tokyo Philharmonic and Singapore Symphony Orchestra. In 2008, for the first time in history, the China Philharmonic Orchestra performed under Maestro Long Yu at the Vatican in the Paul VI Auditorium. The concert was attended by the Holy Father Pope Benedict XIV and marked a giant step in cultural exchange. 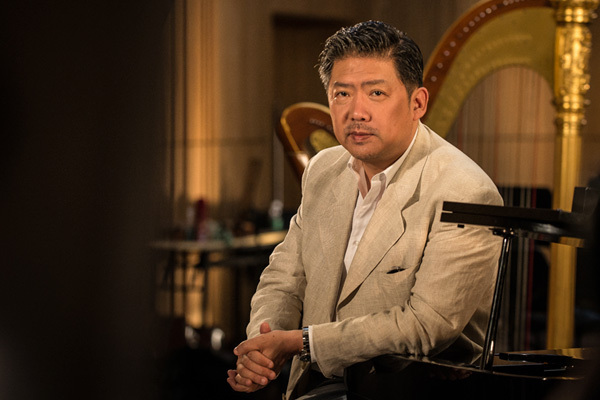 In February 2018, Long Yu signed a recording deal with Deutsche Grammophon for a 3-year global release and distribution partnership along with the Shanghai Symphony Orchestra, which is under his leadership. Long Yu’s career has included both artistic and administrative appointments. In 1992, he was appointed Principal Conductor of the Central Opera Theatre in Beijing and involved in the planning of the Chinese New Year’s Concert series later that year and served as its conductor for three consecutive years. He created opera productions for the Urban Council of Hong Kong for five successive years. In 1998, he founded the Beijing Music Festival and served as its Artistic Director for twenty years. Under his leadership, the Beijing Music Festival is regarded as one of the world’s most important music festivals. In 2010, he also established the MISA Shanghai Summer Music Festival and still serves as its Artistic Director. Born in 1964 into a music family in Shanghai, Long Yu received his early musical education from his grandfather Ding Shande, a composer of great renown, and went on to study at the Shanghai Conservatory and the Hochschule der Kunst in Berlin. He was the recipient of the 2002 Arts Patronage Award of the Montblanc Cultural Foundation. He has also been awarded the Chevalier dans L’Ordre des Arts et des Lettres in 2003 and the title of L’onorificenza di commendatore by President Berlusconi in 2005 for his outstanding contribution in the field of music and culture. In 2010, Long Yu received an Honorary Academician from the Central Conservatory of Beijing for his great dedication to cultural exchange and music development in China. In December 2010, he was awarded Person of the Year in the Arts Field in China. In 2013, Long Yu was presented the China Arts Award. In December 2014, he was awarded the Chevalier de la Legion d’Honneur from the French government. In 2015, Long Yu was awarded the honorable title “National Literature and Art Worker of Excellence”. In the same year, he received the prestigious Global Citizen Award from the Atlantic Council and the Samuel Simons Sanford Award from the Yale School of Music. In April 2016, Long Yu was elected a Foreign Honorary Member of the American Academy of Arts & Sciences. In June 2018, he was awarded the Order of Merit of the Federal Republic of Germany. Long Yu is currently Vice-President of Chinese Musicians Association; he is a member of the 11th, 12th and 13th National Committee of the Chinese People’s Political Consultative Conference.